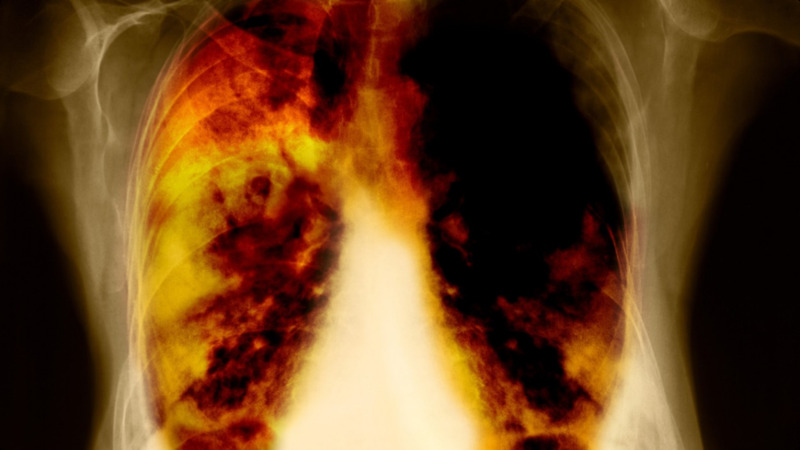 ﻿A new study suggests that targeting a key enzyme and its associated metabolic programming may lead to novel drug development to treat lung cancer. Cancer cells undergo metabolic alterations to meet the increased energy demands that support their excess growth and survival. The Krebs cycle in the mitochondria of cells is used to supply both energy and building materials for cell growth. Two mitochondrial enzymes - pyruvate carboxylase (PC) and glutaminase replenish carbon to the Krebs cycle. Published in the Journal of Clinical Investigation, the study collected metabolic data directly from more than 120 human lung cancer patients. The researchers measured the in situ activity of these two enzymes in patients with early stage lung cancer. When they infused the patients with a glucose tagged with stable heavy atoms immediately prior to surgical removal of tumor tissue, they found that PC was selectively activated - in other words, PC expression may play an important role in the development of lung cancer. By using molecular genetic tools to reduce the amount of PC in human lung cancer cells, the team observed decreased cell growth, a compromised ability to form colonies in soft agar (a gelatinous material specifically used to grow bacteria and other cells), and a reduced rate of tumor growth in mice. The loss of PC also induced widespread changes in the central metabolism of the cell, suggesting a role for PC in early stage metabolic reprogramming. Figuring out how to target PC may help researchers develop new, more effective therapeutic strategies to improve upon current lung cancer treatments, which are limited and harmful. Based on materials originally posted by University of Kentucky.